Hiking, rock climbing, rafting and biking — our bike tours tap all the best Oregon has to offer outdoor lovers outside Bend. For singletrack entrepreneurs, our two mountain bike-specific tours offer up bucket-list rides taking in landmarks like the stalwart cycling town of Bend, the Oregon Trail, Mt. Hood, the Columbia River Gorge and more. 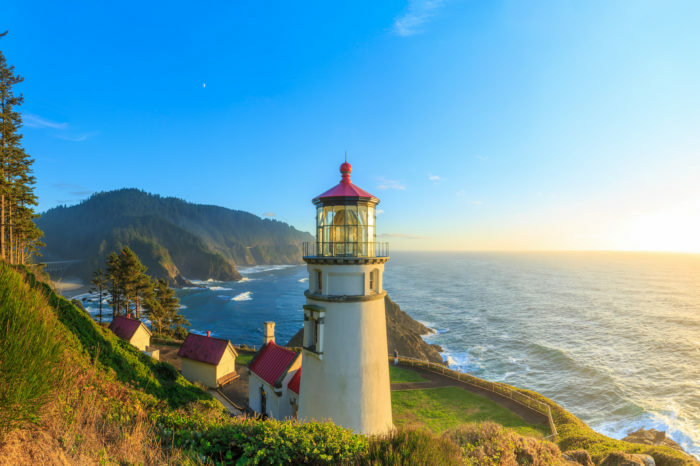 Road cyclists will want to experience our Crater Lake Tour or our Oregon Coast Tour, where stunning views of the rugged coast are punctuated by treats like the Oregon Dunes National Recreation Area and daily sunsets into the Pacific. Since 1992, we at Escape Adventures have been blessed to shape and lead adventure travel vacations through some of the most awe-inspiring natural destinations in the world. Each successive season, our passion for adventure grows through memorable moments with our guests. Fresh air, faith, fitness and friends are the building blocks for our ventures, the treasured experiences that keep us moving forward. For those of you who have trekked and traveled with us over the past quarter century, Heather and I express our sincerest gratitude. The memories are priceless. For those who have yet to tour with us, we appreciate the opportunity to introduce you to our family-run company and guiding principles of sustainability and adventure. Our portfolio specializes in Western North America and is rapidly growing internationally. Building on over 100 destinations, we cater to the full spectrum of active traveler, respective to fitness level and activity type. From road cyclist to mountain biker to electric biker, hiker, and multi-sport enthusiast, and from first-timer to friends and family groups of all ability levels, on behalf of our Escape Adventures family, we look forward to many new and exciting adventures with you. Employment Opportunities That Will Change Your Life! Sign Up For Our Email Specials! Request a paper catalog of all our tour offerings.